DIBELLA ENTERTAINMENT has signed former unified junior welterweight world champion JULIUS “The Blue Machine” INDONGO to an exclusive long-term promotional agreement. Sporting a record of 22-1 with 11 knockouts, the Namibia native will be relocating his training camp to Omaha, Nebraska, in preparation for his return to the ring in the United States. 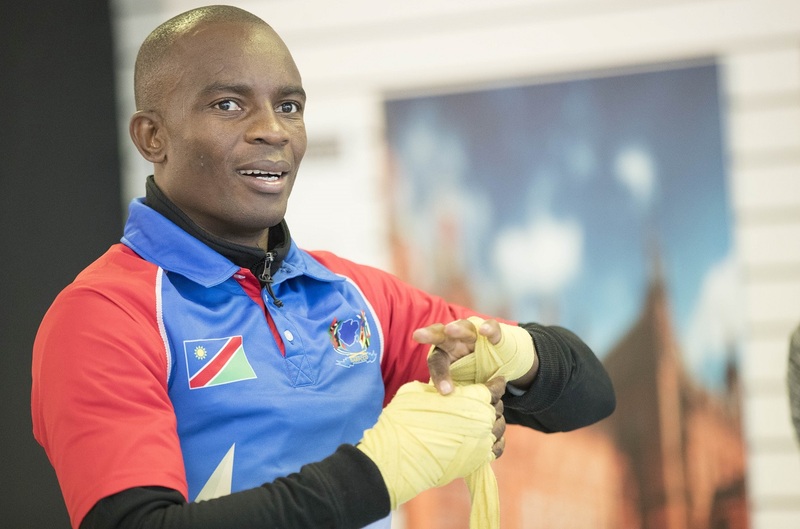 On December 3, 2016, Indongo traveled to Moscow, Russia, to knock out Eduard Troyanovsky in the first round to capture the IBF junior welterweight world title. Four months later, on April 15, 2017, Indongo won a 12-round unanimous decision against Ricky Burns in Glasgow, Scotland, adding the WBA junior welterweight world title around his waist. In his most recent outing, fighting in the United States for the first time and in the first four-belt world title unification bout since 2004, Indongo suffered his only defeat to Terence Crawford on August 19, 2017, in Lincoln, Nebraska. With Crawford having vacated the belts and moving up to welterweight, Indongo will begin the journey of reclaiming his previously held titles.